There are an almost endless amount of things to do and places to go in Ouray, no matter the time of year. The mountains are ready to be explored and the stores are restaurants are open year round. However, some activities are only possible during certain seasons. When is the best time for you to visit? The fall is a great time to come and stay in Ouray. The vibrant colors of the leaves that scatter the mountainsides around our valley make for beautiful fall hikes and drives. Visiting during early autumn means most summer activities are still available. However, a trip closer to snow season allows for snowshoeing and other winter activities. Even better, you don’t have to worry much about an excess amount of tourists. 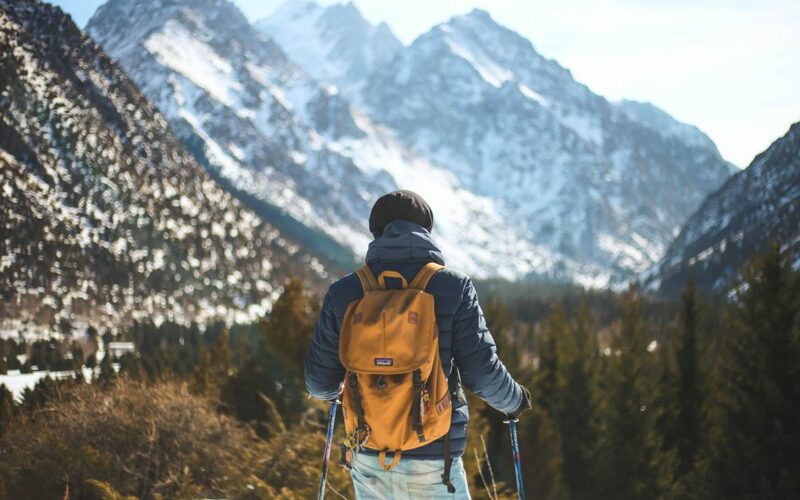 If you decide to visit Ouray during the winter, there are a plethora of activities that are both exciting and relaxing. The Ouray Hot Springs is one of our main attractions, especially during the winter. Imagine relaxing in warm water while surrounded by falling flakes of snow. Winter in Ouray also means exciting sports! Visit the Ouray Ice Park, a premier ice climbing park. Watch climbers from the viewing stands or learn to climb by hiring an expert guide. Also, open during the snow season are cross country ski trails, snowshoeing trails, sledding hills, and winter hiking trails. July is the most popular time of year to come to Ouray. In the summer and spring, the entirety of Ouray Hot Springs Pool is open, as well as various other activities. Hiking and jeeping trails are ready to be explored. Box Cañon Falls, a location here in Ouray, is another option. They can be reached after a short walk and when you arrive, you’ll be greeted by the roaring sound of thousands of gallons of falling water. No matter when you decide to come by, the Ouray Chalet Inn is here to help! We offer a variety of rooms with top-notch service. Visit our website to learn more about our rooms!